Brian Faulkner was born in County Down in 1921. In 1949 he entered politics for the first time when he became the youngest person elected to Stormont, the Northern Ireland Parliament, as the Unionist MP for East Down (1949-72). He was appointed government Chief Whip (1956-59) and in 1959 he became Minister of Home Affairs (1959-63) in the midst of a renewed Irish Republican Army (IRA) campaign against partition. In 1963 on the retirement of the aging Lord Brookeborough, then Prime Minister of Northern Ireland, Faulkner was regarded by many as favourite to succeed him but Captain Terence O’Neill emerged to claim the position. 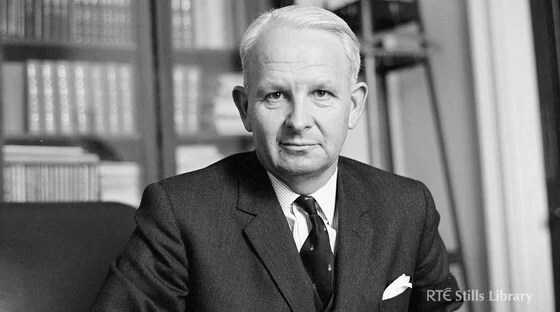 Under O’Neill he was made Minister of Commerce (1963-69) and gained praise for his work in trying to attract new industry to Northern Ireland. His relationship with the new Prime Minister however was always an uneasy one and deteriorated further as Faulkner grew increasingly concerned at O’Neill’s response to the emerging civil rights campaign. Matters finally came to ahead in January 1969 when Faulkner resigned from the Cabinet in protest at the package of reforms introduced by O’Neill in the face of growing unrest on the streets. Faulkner returned to the Cabinet under Prime Minister James Chichester-Clarke, as Minister of Development (1969-71) and was given the task of pushing through measures of reform particularly concerning local government. Then in March 1971 Chichester-Clark, unable to solve the worsening security situation tendered his resignation and Faulkner was elected as Prime Minister (1971-72) easily defeating his only opponent, William Craig. His term in office however was to be defined by of two major events. To begin with in August 1971 Faulkner introduced internment without trial. Unfortunately this decision was to prove counter-productive in that it not only further alienated the nationalist community but also failed to halt the increasing levels of violence. Then in March 1972 he was powerless to stop the British government from suspending the Stormont parliament and introducing direct rule from Westminster. As a protest against this move he initially joined with other more militant unionists in organising opposition to the decision taken by the authorities in London. But later he alienated his former allies by taking part in negotiations aimed at returning devolved power to Northern Ireland. To the alarm of many within his own party, as well as sections of the wider unionist community, in November 1973 Faulkner agreed to the establishment of a a power-sharing administration to govern Northern Ireland. This new body took office in January 1974 with him as Chief Executive but from the outset it faced major problems. In particular to add to the sense of unease amongst many within the unionist community at Faulkner’s apparent willingness to share power he had also signed up in December 1973 to the Sunningdale Agreement. This proposed to set up a Council of Ireland to formalise and manage cross-border relations between the authorities in Belffast and Dublin. These arrangements however were immediately opposed by many unionists culminating in the loyalist strike of May 1974. Not only did this bring down the power-sharing executive but also directly spelt the end of Faulkner’s political career.